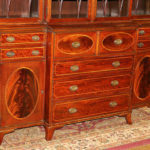 For many of you, who understand, the Federal period in terms of design, it was a romantic period of architectural and incredible design of fine furniture. 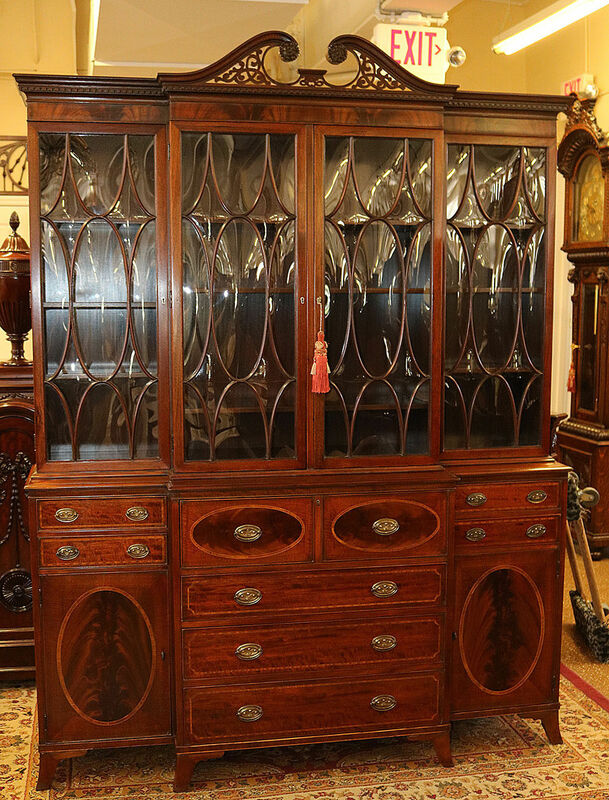 This 1900-1920s era American Federal breakfront features ALL OF THE BEST elements that can be packed into a piece of furniture. 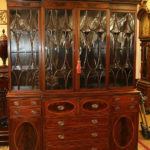 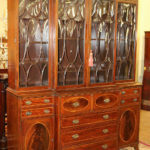 Look at the incredible choice of “tigered” mahogany for the drawer fronts, the incredible oval inlay and beautiful hand-blown English crown glass. 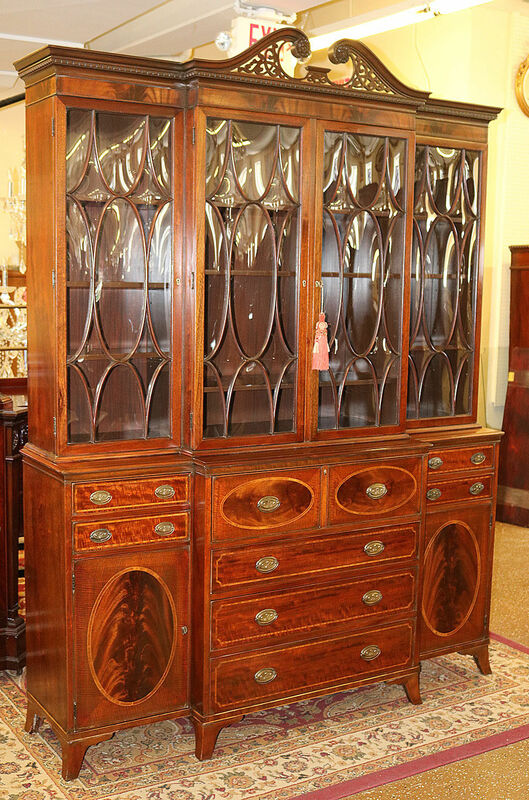 This two-piece masterpiece has been painstakingly French-polished for a museum quality glow. 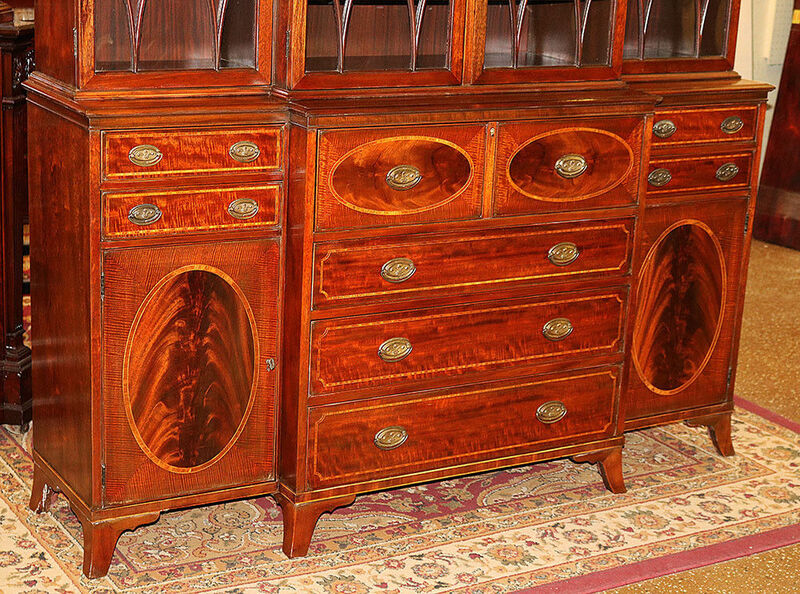 The proportions of the piece, the elegant sabre legs, and incredible finish all come together to make one of the finest breakfronts we’ve had in years.